Published Friday, December 10th, 2010 at 419 × 299 in Why Italy? I am searching for good preaching in Italian and Italian worship music. Do you know where I may be able to download some? 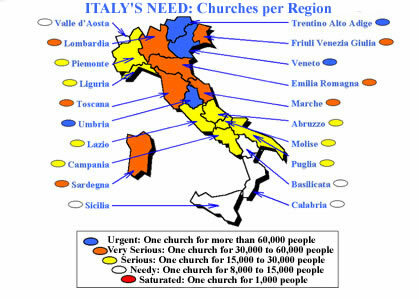 By far, the best resource for Italian preaching and Italian worship music is on our radio station, Radio Luce, which not only broadcasts throughout most of Umbria, but also on streaming at http://www.radioluce.com! I also suggest http://aurorafocus.org/ for some of the best preaching downloadables. You can also purchase Italian Christian artists right on itunes, such as Lidia Genta, Sara Taccardi, Giorgio Ammirabile.